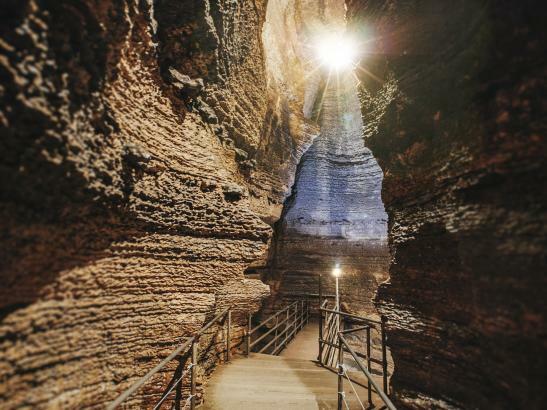 One of the most fascinating and unique geological attractions in the United States. 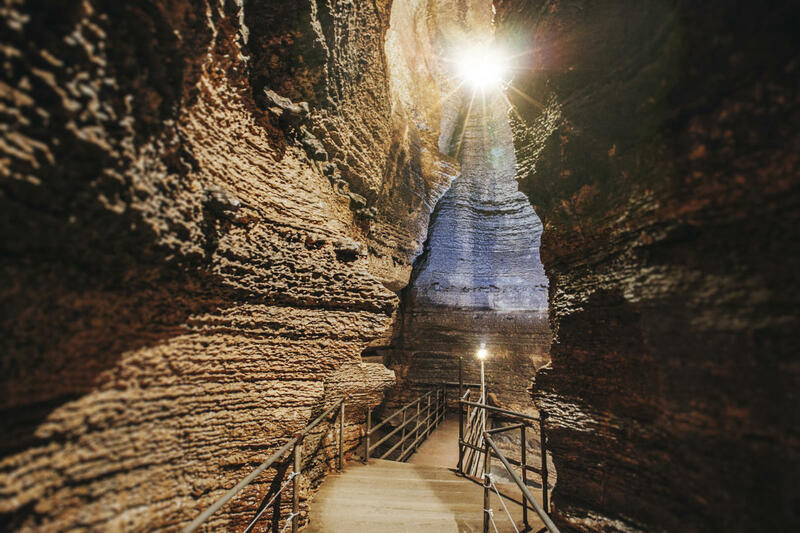 During the one hour, one mile, guided tour visitors will witness an underground stream leading to a waterfall nearly 60 feet high, stalactites - both delicate and massive, calcite flowstone, several fossils that have been dated to over 400 million years old, and a wedding chapel in which over 400 weddings have been performed, and more. Rated one of the top ten caves in the country. Open seasonal hours.